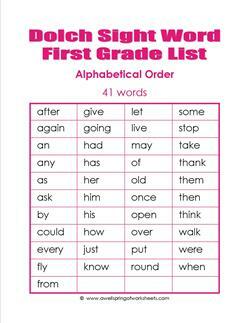 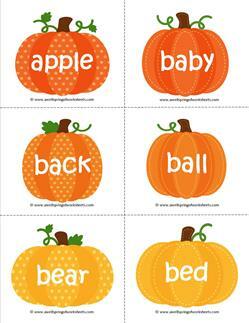 The resources in this section are specifically targeted first grade Dolch sight words resources. 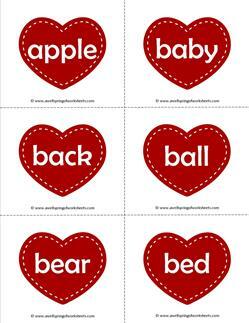 There are 41 words that have been deemed appropriate for this grade level for kids to learn by sight. 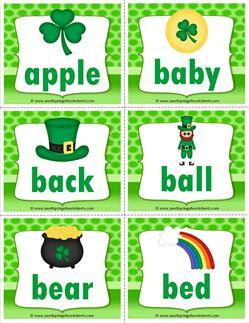 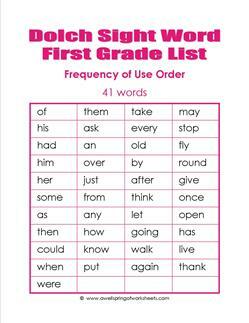 To add to those are a list of 95 Dolch nouns kids can work toward mastering in first grade as well. 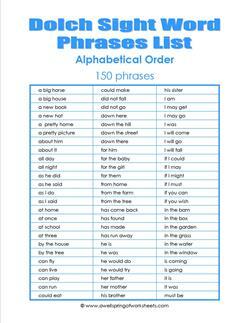 In this section you will also find a list of 150 Dolch phrases – groups of words that are commonly used together – that kids may be familiar with. 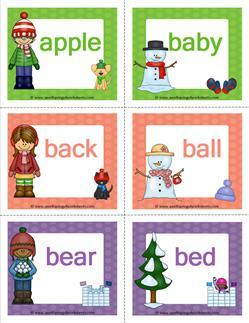 You’ll also find tons of flash cards, some nice and plain, and some prettied up. 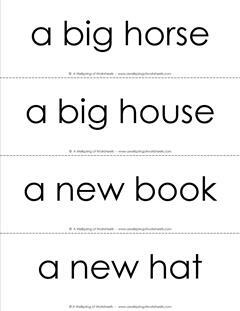 This set of Dolch sight word flash cards for first grade in black and white has 41 words and is a mere 6 pages long with 8 words per page. 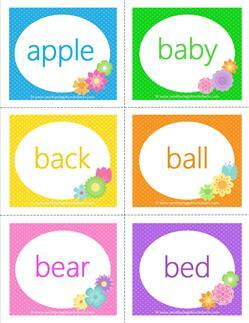 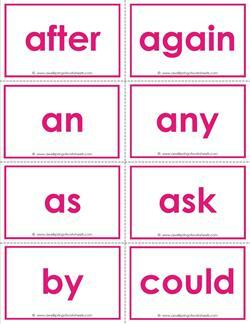 This color set of Dolch sight word flash cards for first grade comes in a luscious hot pink! 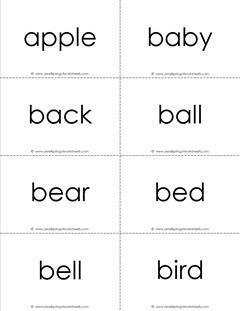 It has 7 pages with 8 words per page. 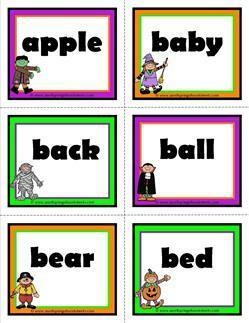 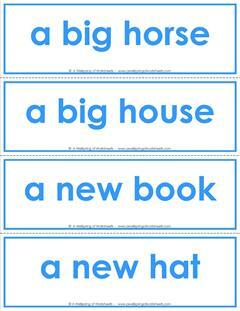 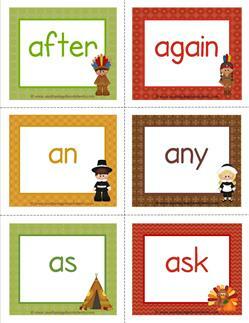 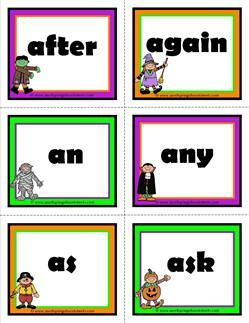 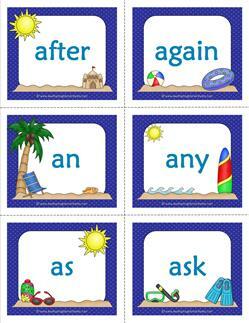 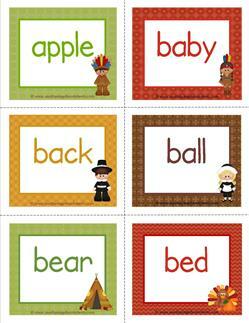 Our Dolch sight word flash cards - nouns - black & white - have 95 nouns for K-3rd. 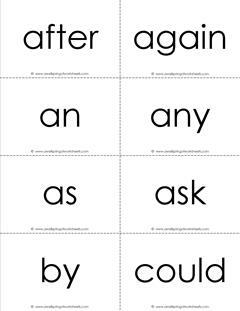 Twelve pages, 8 words per page. 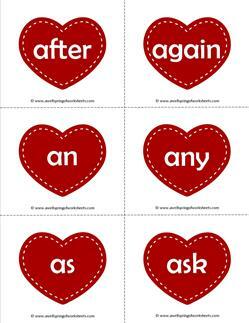 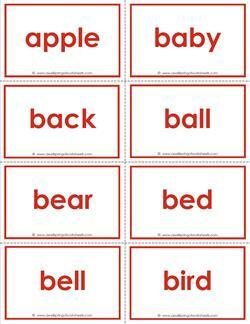 Our Dolch sight word flash cards - nouns - in red have 95 sight words for kinder-3rd grade. 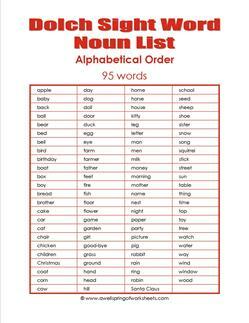 Comes with 13 pages, 8 words per page. 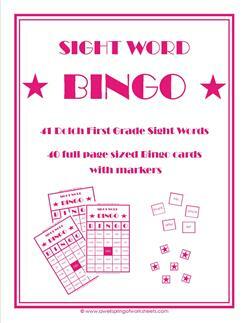 Pretty in pink, this Dolch sight word bingo for first grade comes with everything you need to have a rollicking good time playing everyone's favorite game.